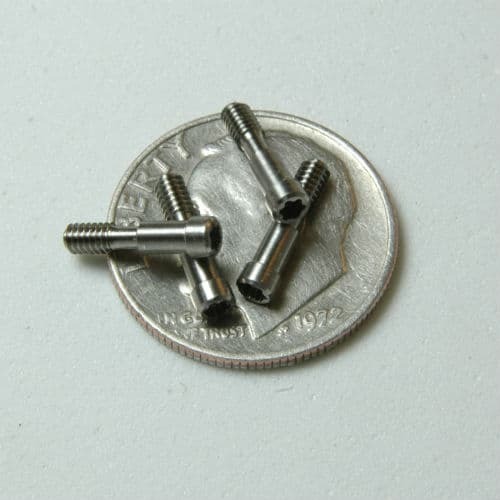 providing precision custom machining services for over 50 years! Since our humble 1958, Forster Tool & Manufacturing has been providing Swiss Screw Machining and Swiss Screw Machined Products. Over the years we have expanded not only our capacity but our services offered as well! From lathe work to vertical milling, for projects with small lot sizes to those 100,000 part orders, Forster Tool is equipped to be your precision machining partner! As the precision specialist, we hold tight tolerances and high standards. This applies to you parts and how we rune things. Forster Tool ISO 9001:2015 and AS9100D certified, with certificate number 15037ASR001. 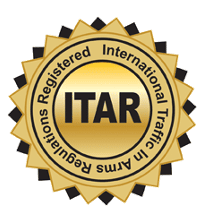 We are also an ITAR Registered Company, under registrant code M38942. We have the certs other shops can't get, which is why Forster Tool can take care of your aerospace machining needs and other high-quality custom swiss parts. Our Machining Services also include CNC Turning, Precision Milling and many other secondary operations. Explore our web-pages to find out more, or you can contact us with our easy to use contact form. Looking to request a quote? Click in the banner above and request for free! to find out how our experts can help grow your business! Excellent source for precision machined parts. I've used them for many years with excellent results. From hundreds of pieces to thousands, Forster exceeds. Swiss turning, VMC- whatever you need. 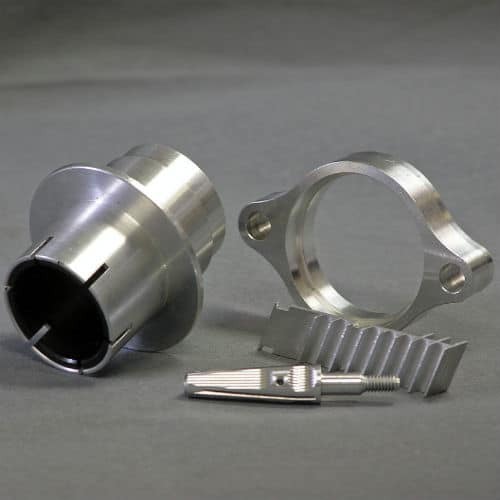 From the initial prototype through final production, we partner with our clients to provide them with the most cost-efficient machining processes. 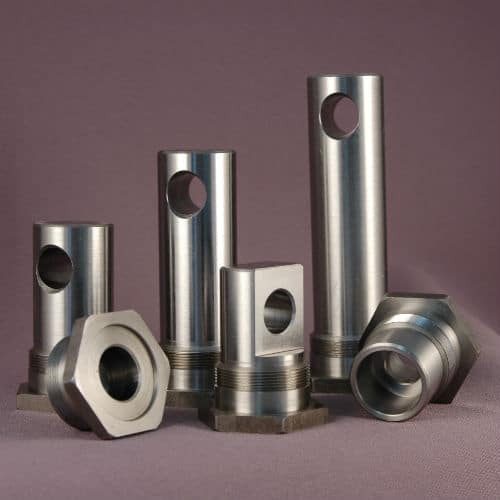 Our machinists have vast experience machining a variety of metals and plastics, from stainless steel to acetal, and even specialty metals such as titanium. Forster's experience spans across many industries to include medical, dental, defense, water filtration, oil/gas exploration, instrumentation/controls, automotive and sporting goods. With the addition of our ISO 9001/2015 AS9100D Certification as well as ITAR Registration, Forster Tool is your company for high quality, specialty parts for the aerospace industry! 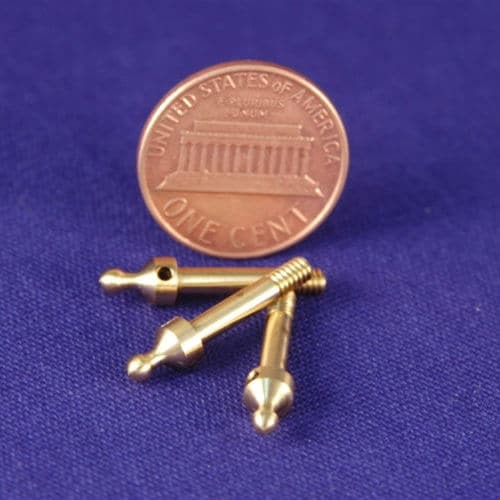 Our machined parts include bone implants, medical/dental instruments, custom screws/fasteners, pins, valve, shafts, connectors, brackets, knobs, and many other complex parts. We pride ourselves on our ability to provide a diverse set of machining methods to produce your custom part in the best way possible. Our largest clients have trusted us with their Swiss Screw Machining and Precision Machining needs for decades.